Early one morning, a giant (Rylance) kidnaps a young girl named Sophie (Barnhill) and brings her to his cave. The precocious young girl is afraid of him at first, but soon learns that he is very friendly. He tells her to call him the Big Friendly Giant. Her presence in Giant Country starts to rile up the other giants, all of whom eat children. She decides, with the help of the BFG, to go to Queen Victoria (Wilton) and convince her that giants do exist. She needs the Queen’s help to get rid of the evil, child-eating giants. 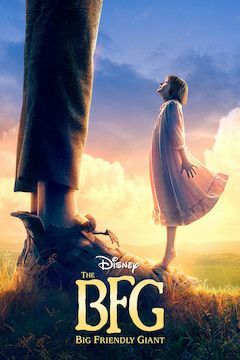 A young girl befriends a giant who she calls the BFG, the Big Friendly Giant. When the other giants attack him in order to eat her, she and the BFG try to convince Queen Victoria that giants exist in order to get her help to get rid of the evil giants.